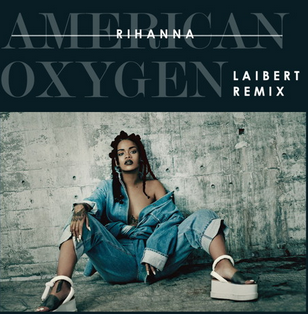 Rihanna – American Oxygen (Laibert Remix) – DJ JVC | DJ for hire in Philippines | DJ Mixtapes, Clubbing and Music Festivals in Manila, Philippines. 19 year old super producer Laibert (Valentino Prisinzano) was Born in Sicily and has always been passionate about art. Having explored a number of different fields including theatre, Laibert had a number of different roles for the company “Teatro di Fuori”, but at the age of 11 he began the journey towards his future and true calling… Music! At age 16, he discovered professional music software for production and in the summer of 2012 he began work on the first single titled “Cosmic Love”. Later down the line, he met the singer “Olympe” for a collaboration that would put him under contract with the Spanish label ‘Valentine UTU Records’. Fast forward to 2014 and now aged 18, Laibert had amassed over one million plays of his music online through a combining his unique remixes along with his original 80’s influenced electro pop productions. During 2014, Laibert signed a contract with Italian record label ‘DanceAndLove’ for an original single entitled “My Love”, which later reached #4 in the Swedish Itunes Dance Chart and in October of the same year, DJ Target gave the first play of his new single entitled “Paradise” (featuring Siren Gene) on BBC Radio 1xtra. With support from the likes of Kidnap Kid (Black Butter Records) and recent remixes being commissioned for Atlantic Records, Neon Hitch and Bobby Green, this guy is going from strength to strength. The remainder of 2014 will see Laibert finish his first official EP ready for release in 2015, so all we can say now is make way because this producer is coming through and is in a lane of his own!